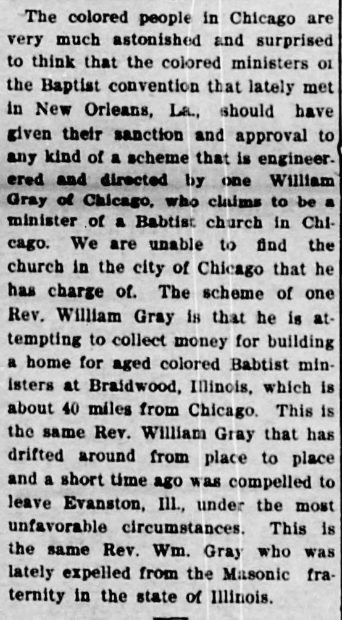 Baptist minister. 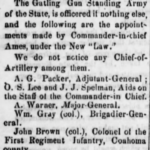 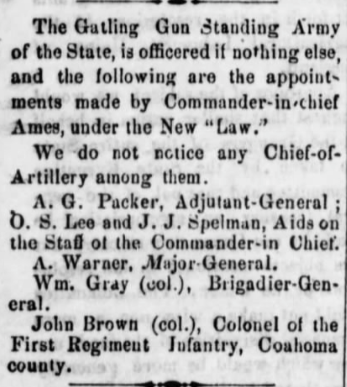 Appointed Brigadier General by Gov. 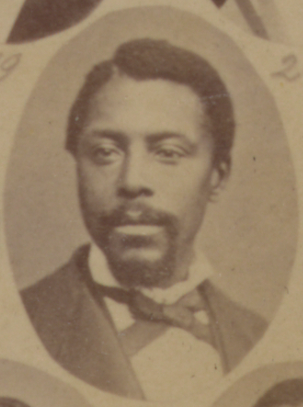 Adelbert Ames. 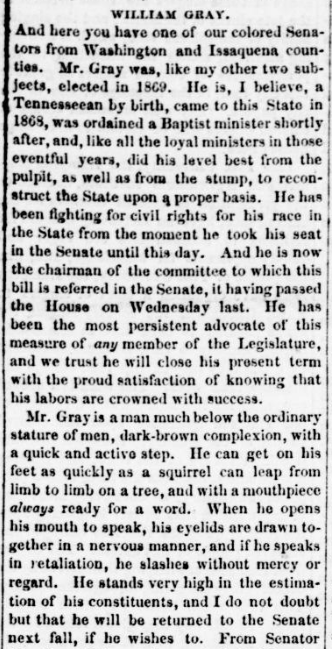 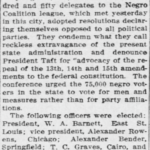 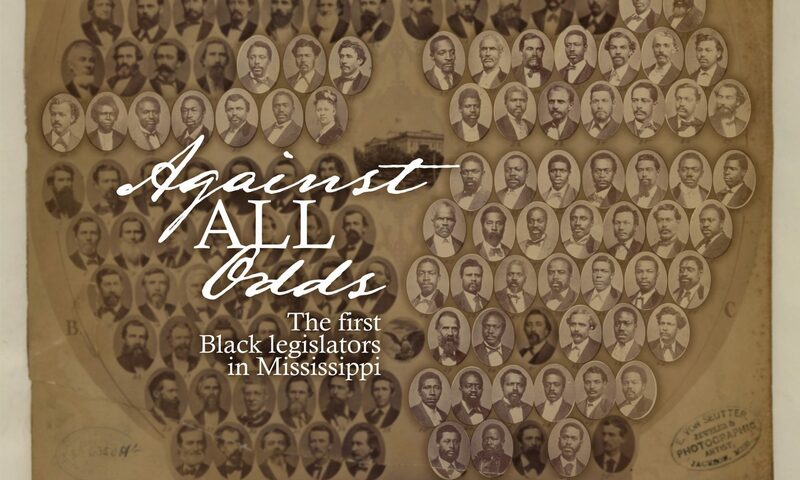 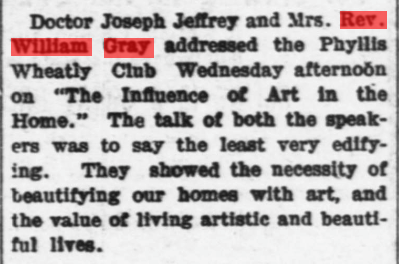 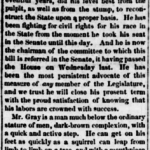 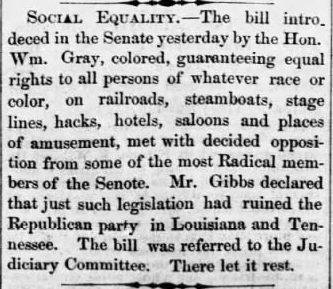 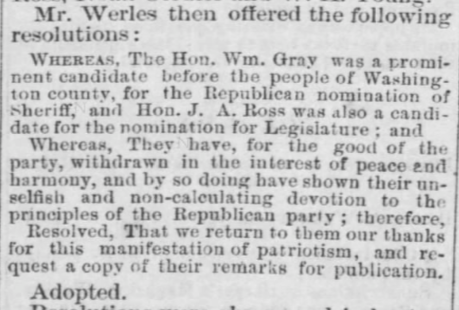 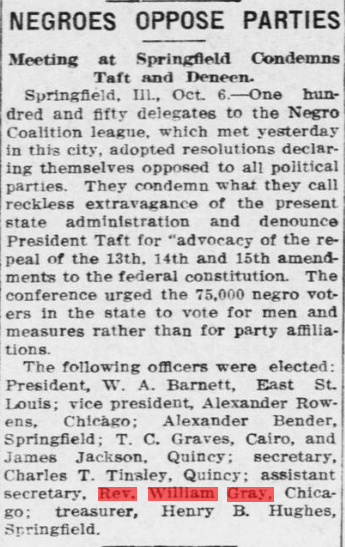 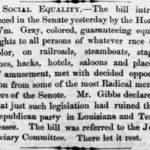 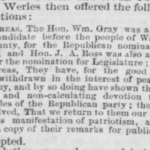 Gray was a strong proponent of civil rights legislation. 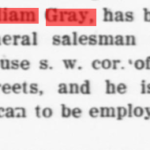 Unfortunately, Gray’s life seems to have been marked by scandal and corruption. 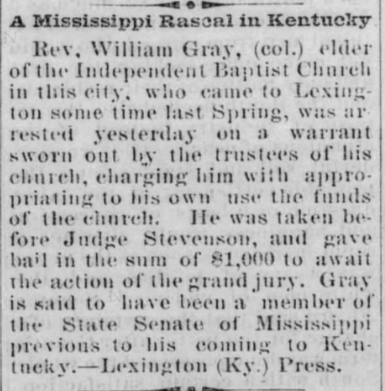 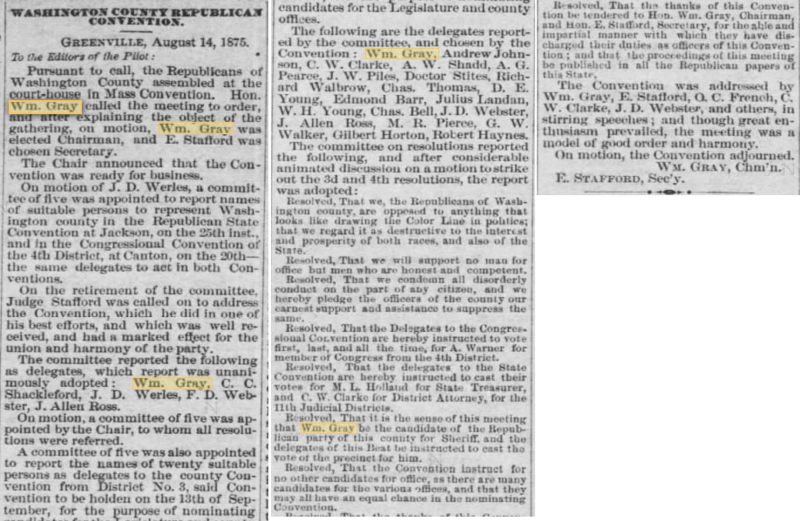 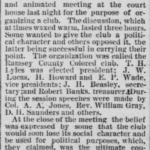 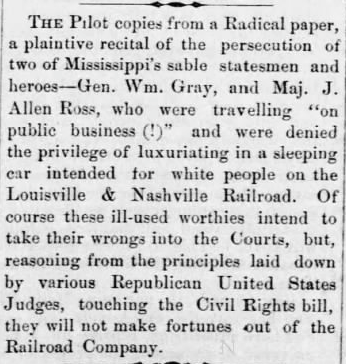 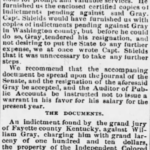 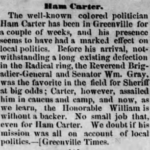 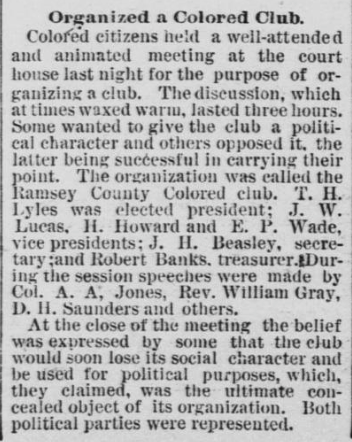 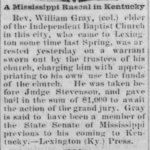 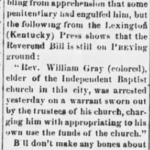 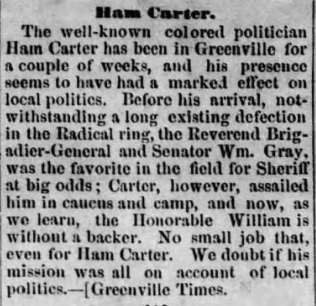 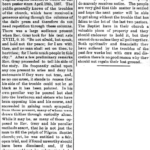 In late 1876, he was indicted for embezzling funds from a Baptist church in Fayette County, Kentucky. 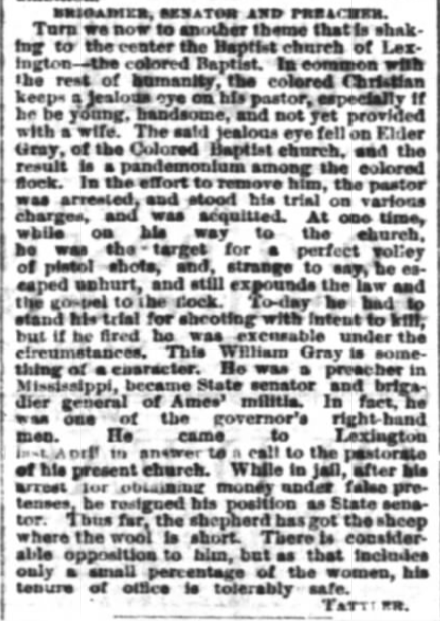 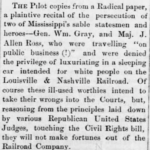 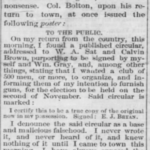 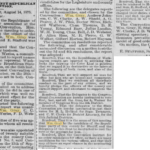 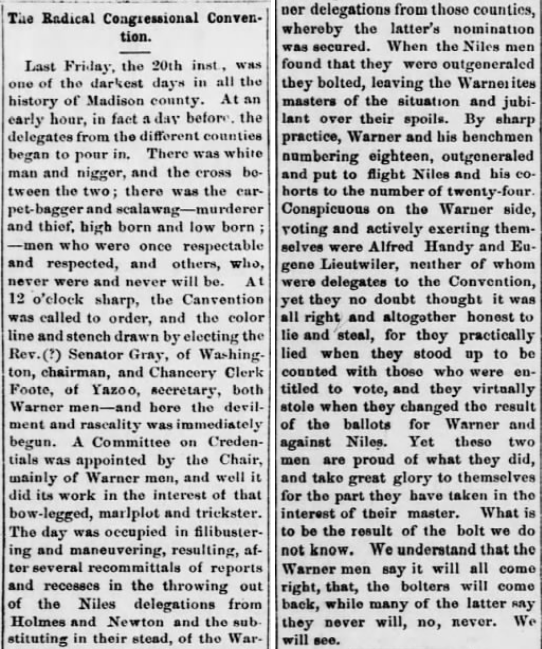 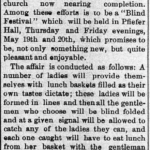 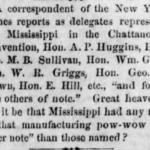 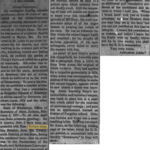 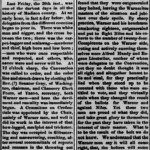 Later newspaper articles imply other questionable incidents. 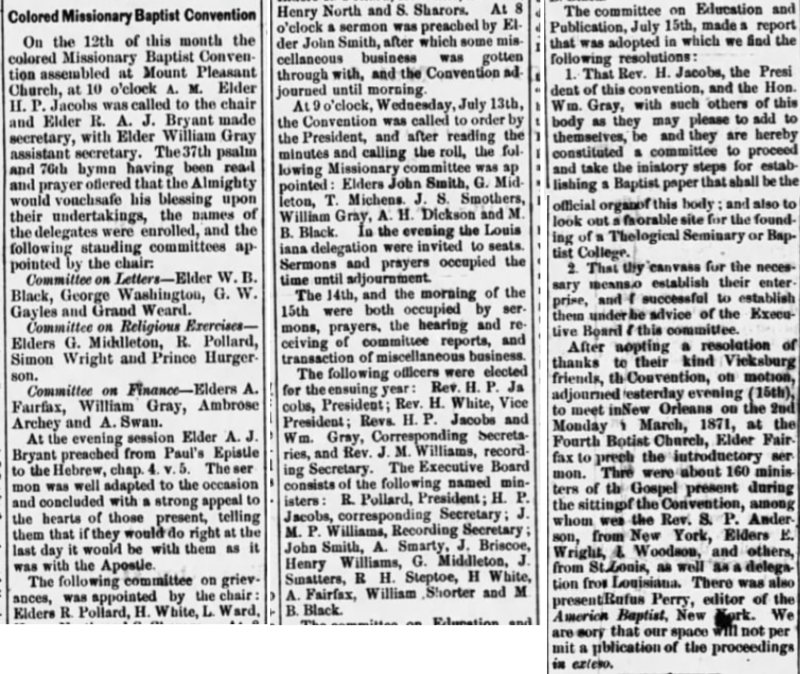 Listed on the 1870 census in Greenville with wife Hester and on the 1880 census in Lexington, KY with wife S.J. 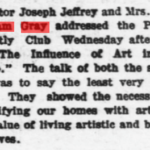 and mother Sarah Gray. 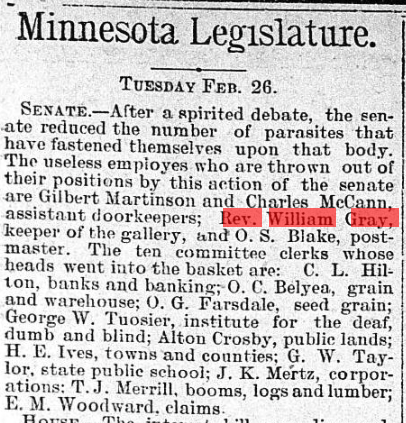 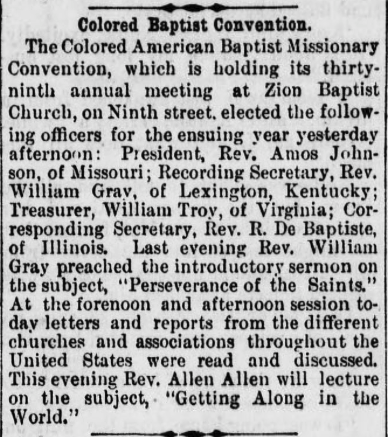 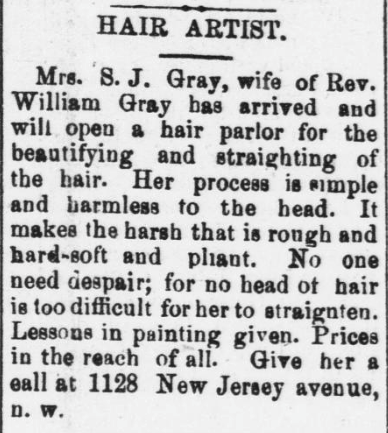 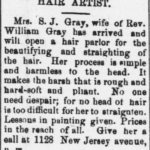 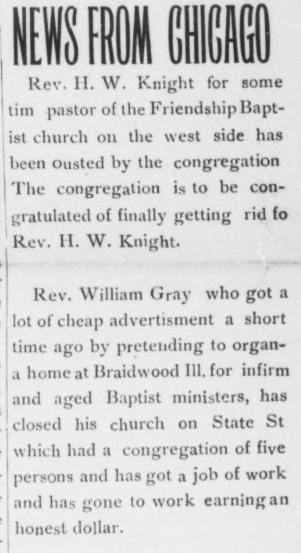 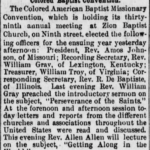 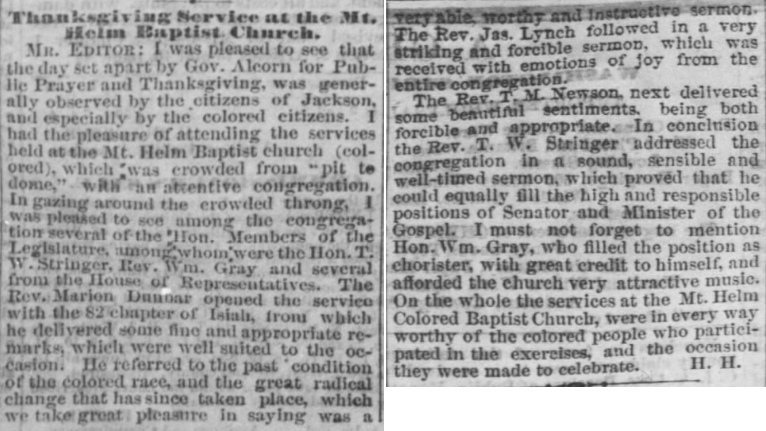 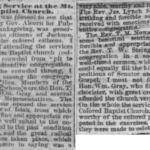 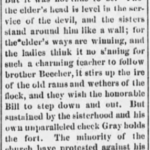 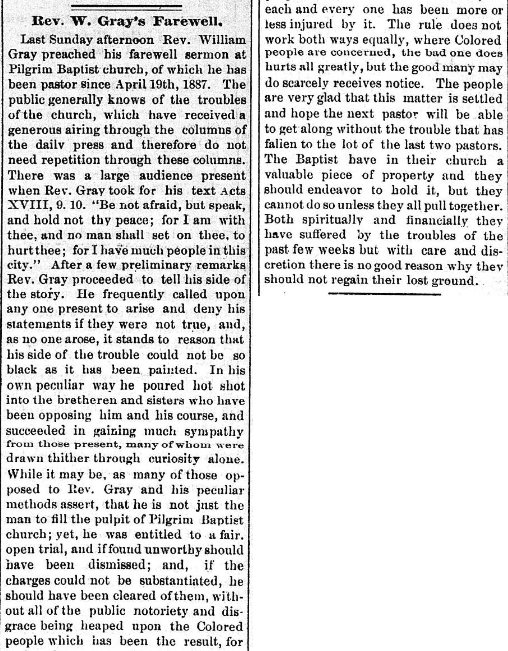 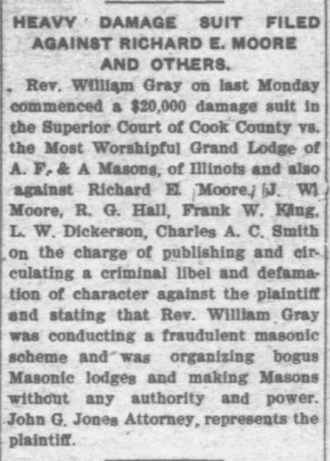 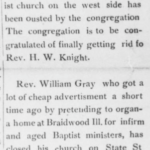 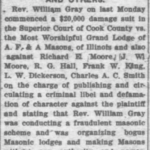 By the late 1880s, Gray was a minister in St. Paul, Minnesota. 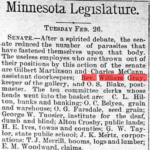 At some point, he served as keeper of the gallery in the Minnesota state senate. 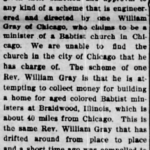 Gray eventually moved to Chicago, where he spent the last years of his life. 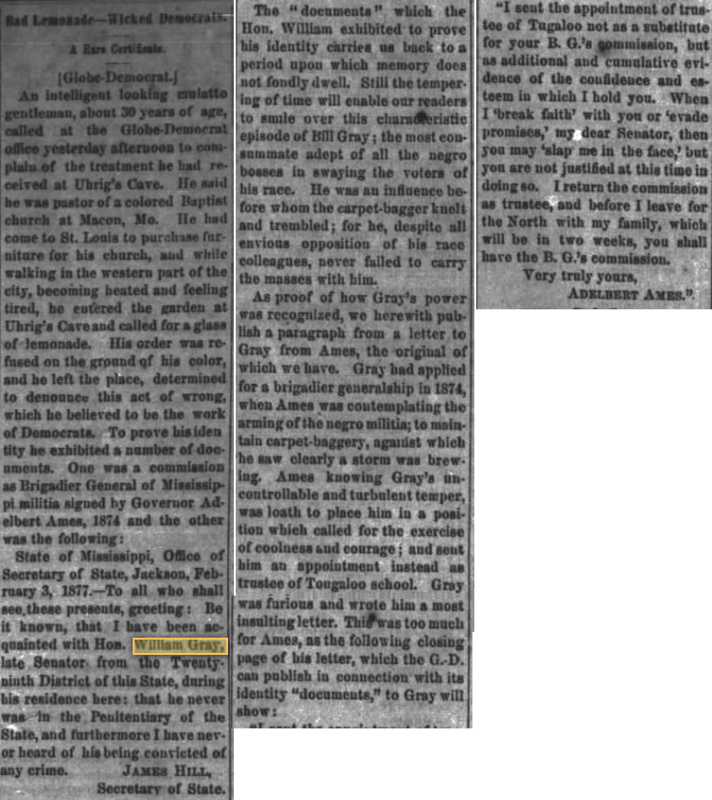 His second wife, “S.J.” was Selena J. Walker. 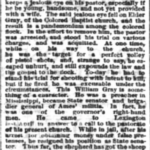 She was born August 17, 1852 in Columbia, TN, and died March 20, 1919 in Chicago. 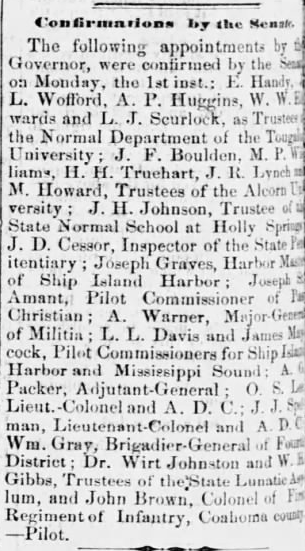 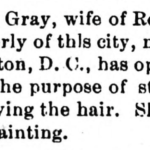 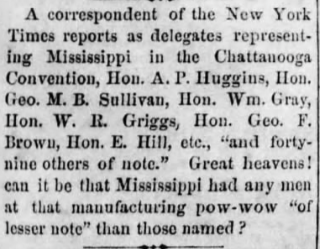 She appears with her family, apparently free, on the 1860 census in Nashville. 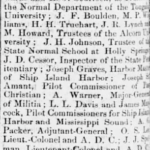 She attended Fisk University and is listed in 1877 and 1878 Nashville city directories as a public school principal. 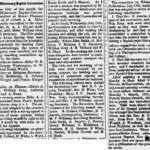 Birth and death dates from the Cook County Deaths Index.